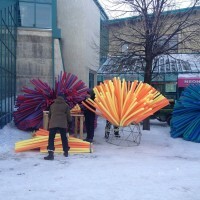 Toronto architecture firm RAW Design have created Nuzzles as their entry to Winnipeg’s 2014 Warming Huts Competition. 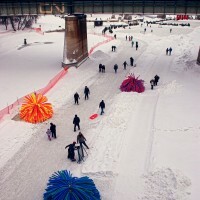 Imagine a series of glowing mounds on the frozen river landscape, each creating immersive layers of light, warmth and interaction. 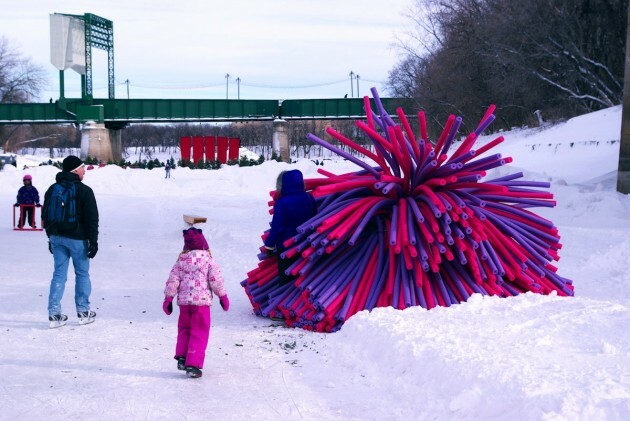 Inspired by the insulating properties of fur, Nuzzles brings a unique, engaging experience to the visitors of the Assiniboine River. Moving away from the introverted enclosure, Nuzzles exhibits a heated, lit core, encompassed by a multitude of insulated appendages which allow users to nestle into the structure. 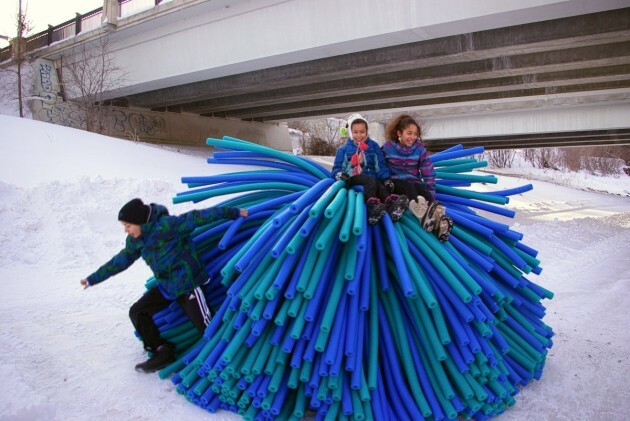 Constructed from a geodesic lattice of hollow aluminum tubing, and an outer layer of foam bristles (pool noodles), Nuzzles provides an inner layer of still air in order to increase heat capacity. 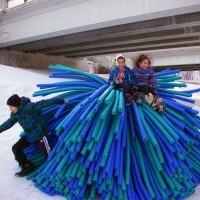 Occupants are encouraged to playfully interact with bristles in order to sculpt informal seating or standing space as well change the lighting dispersions of the glowing structure. 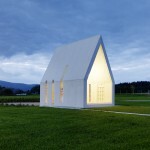 This competition continues to investigate the zone shared by the specialties of Art and Architecture. 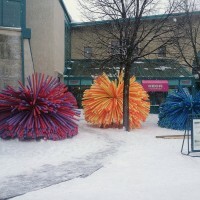 Winnipeg is unique for a city of nearly a million people for the intense climate in winter. 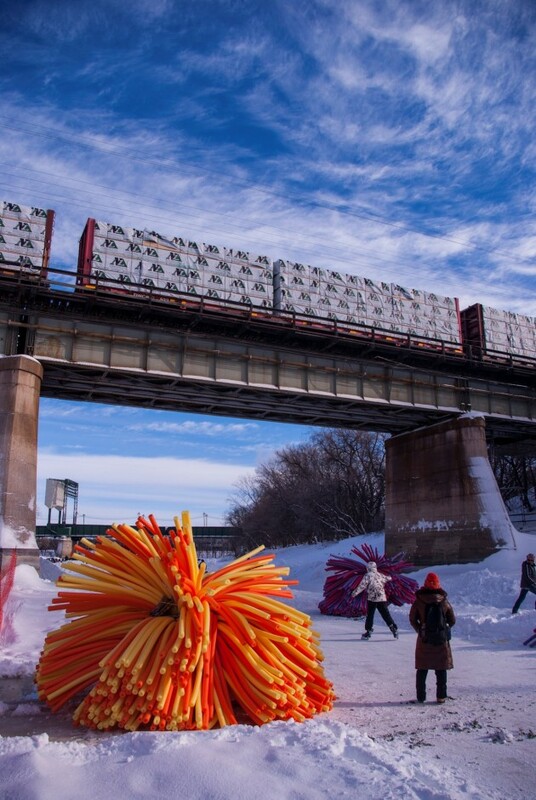 The hardy citizens of Winnipeg have grown to expect excellent art, design, architecture and cuisine on the Red River Mutual Trail. 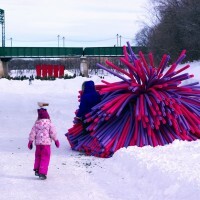 While no specific theme for the competition, teams are encourage to investigate the relationship between built artifact and the frozen riverscape. The designs must fit on pre-fabricated skids. The huts will be placed along the Red River Mutual Trail following the final week of construction. 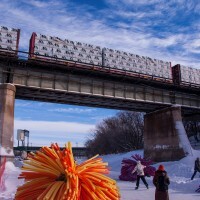 The completion of the construction of the huts will be held at The Forks, Winnipeg, Manitoba. The Forks is located in downtown Winnipeg, at the junction of the Red River and the Assiniboine River. The intersection of the two rivers historically has made the area a popular meeting place for millennia. 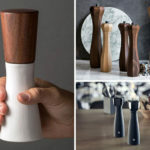 In recent times, the site has developed into a popular destination for tourists and locals alike. 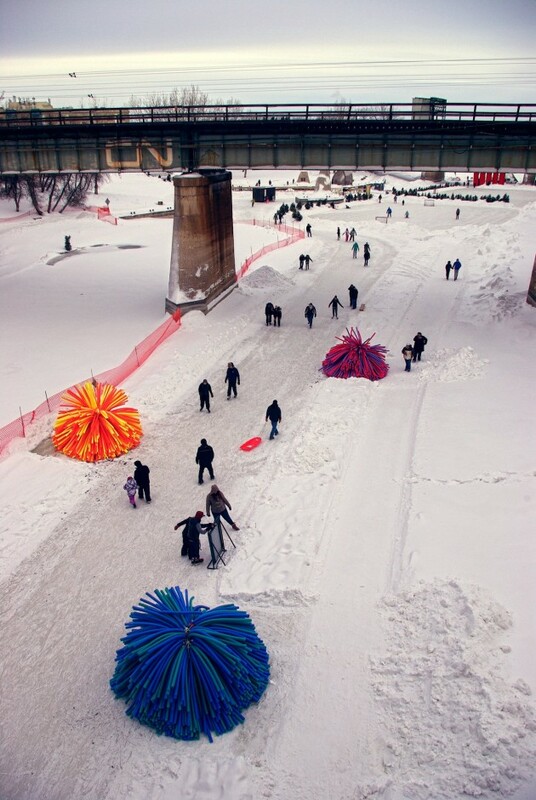 In winter the Red and Assiniboine Rivers are also used as an alternate route to access downtown by foot, bike, skates and skis. There are opportunities for curling, hockey and much more.